Under the new scheme, the government will set levels of GWh required to reach intermediary targets across several procurement rounds "held at frequent intervals throughout the lifetime of the scheme", the government said. In the system design proposal, the Irish government envisages four to five auction rounds between 2019 and 2025, each procuring between 1TWh and 4TWh. The new scheme will now go to the European Commission for state-aid approval. Under the design of the RESS, the Irish government could set a cap on the level of GWh provided by onshore wind in some of the technology-neutral auctions, despite it being the cheapest form of renewable electricity generation. It said this would encourage a more diverse range of technologies, including offshore wind, solar and bio-power. The government said it would need to procure the equivalent of 4.5GW of onshore wind in renewable generation by 2030 to reach the targets. "The development of RESS included an in-depth study of international best practice, across Denmark, Germany, Canada and Scotland," the government said. Currently, Ireland has approximately 3.5GW of renewable generation in operation — mostly onshore wind. 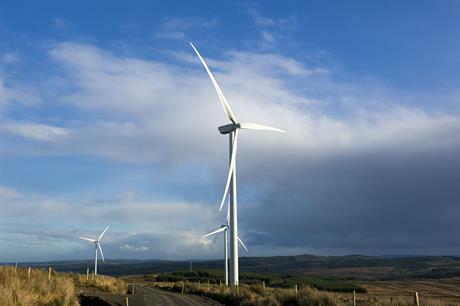 Following government approval of the proposed scheme, Irleand’s minister of communications, climate action and environment, Denis Naughten, said: "This scheme will mark a shift from guaranteed fixed prices for renewable generators to a more market-oriented mechanism where the cost of support will be determined by competitive bidding between renewable generators." The industry will be relieved a plan is finally in place, after some uncertainty about a route to market for renewables in the 2020s. Ireland's wind energy trade body (IWEA) said the approval of the RESS by the government was "a welcome first step" but was not fully convinced by the plan. "There will be some disappointment that the government seems to be aiming for a target to get 55% of our electricity from renewables by 2030. Countries of a similar size to Ireland like Scotland and Denmark plan to achieve 100% by the same date," said IWEA CEO David Connolly. "Today’s announcement is an important milestone in growing a sustainable offshore wind industry, but it will not be enough. "We need to ensure offshore wind can connect to the electricity grid and applications to develop wind farms under the foreshore consenting regime must be processed smoothly," Connolly added. Michael Phillips, principal consultant at renewable energy consultancy Dulas, added: "It’s widely anticipated that Ireland will struggle to meet its 2020 carbon emissions targets, but the new RESS should go some way towards helping the country build out its clean energy capacity. "However, the devil is in the detail — the absence of technology-specific auctions will likely see the nascent solar sector underperform when up against a more established onshore wind market, and the new scheme does not address the potential of the domestic renewables sector to contribute to indigenous energy supplies.